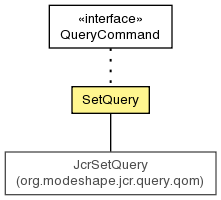 This object acts as a Set operator on multiple queries, such as performing UNION, INTERSECT, and EXCEPT operations. The two queries are expected to have the same number and order of columns, and the corresponding columns types must be compatible. Return whether this set query is a 'UNION ALL' or 'INTERSECT ALL' or 'EXCEPT ALL' query.